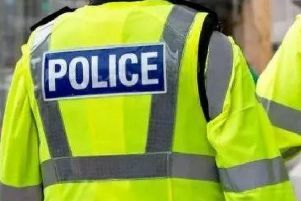 Police are reminding Sussex residents, especially the elderly, to stay on the alert for bogus phone calls and visitors after a number of cases over the last month. In each case residents have received phone calls from someone purporting to be from their bank or from the Metropolitan Police, either saying that there were problems with their credit or debit card accounts or that they were investigating a case of fraud. Police said in some cases, the caller has claimed to come from Barclays Bank asking if the victim banks with them. When this is confirmed, they are asked to phone customer service with the number on the rear of their card, but the phone is not disconnected, a second person ‘answers’ and the victim is fooled into believing that they are talking to their bank, being persuaded to reveal PIN verification and other details and ultimately handing over their bank cards to a false courier. Thousands of pounds have been withdrawn in Worthing, Shoreham and Hove recently. Police said a similar fraud is carried out by a caller claiming to be from the Met Police, most often a PC Anthony Reynolds from Hammersmith police station. He persuades the victim to visit their bank, withdraw large sums of cash, which are then placed in a carrier bag for collection in order to be paid into a ‘secure’ account. Sadly, the victims have little hope of seeing their money, often a significant portion of their savings, again. Police said on September 8, an elderly man from Hastings received a call from ‘Sergeant Davies’ from Hammersmith police who used Nat West bank in his story and resulted in the man handing over a substantial amount of cash. A couple from Goring were defrauded out of more than £8,000 by a man claiming to be from Santander Bank, who said he was trying to protect their money from fraud by a bank employee.